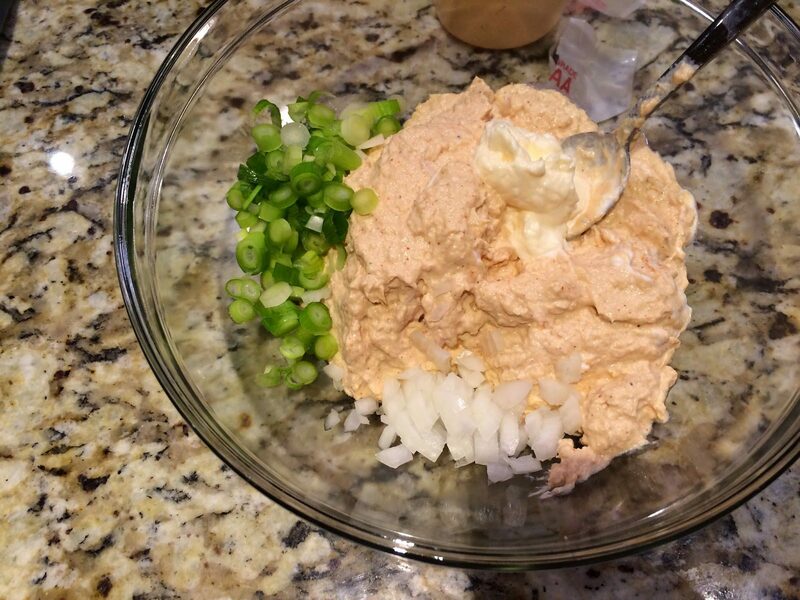 Serves 4—can easily be doubled for a large group. 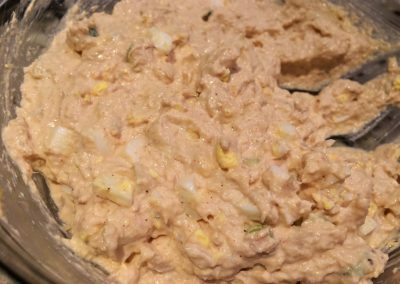 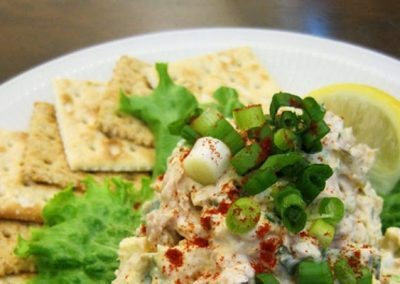 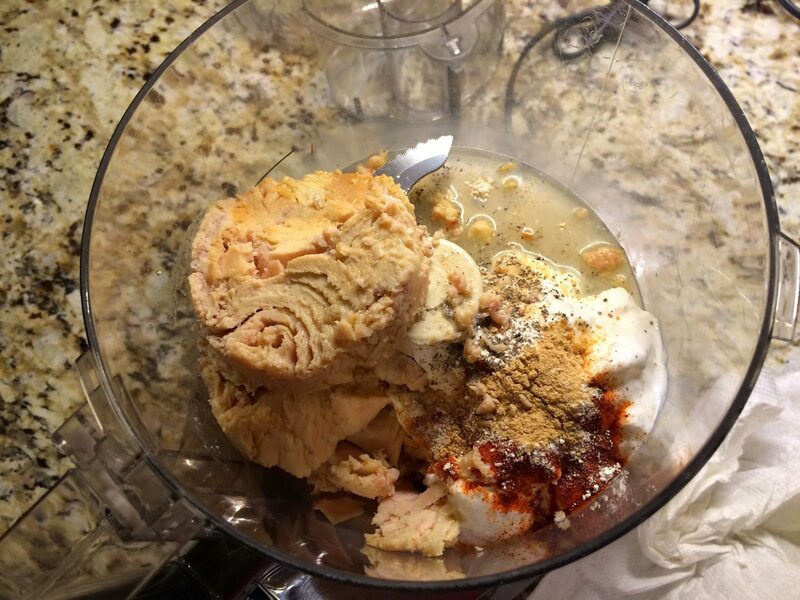 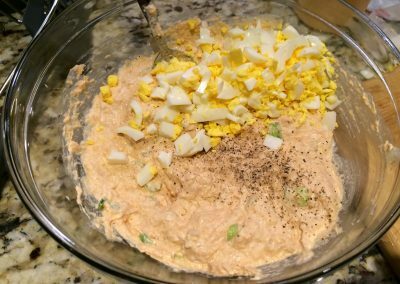 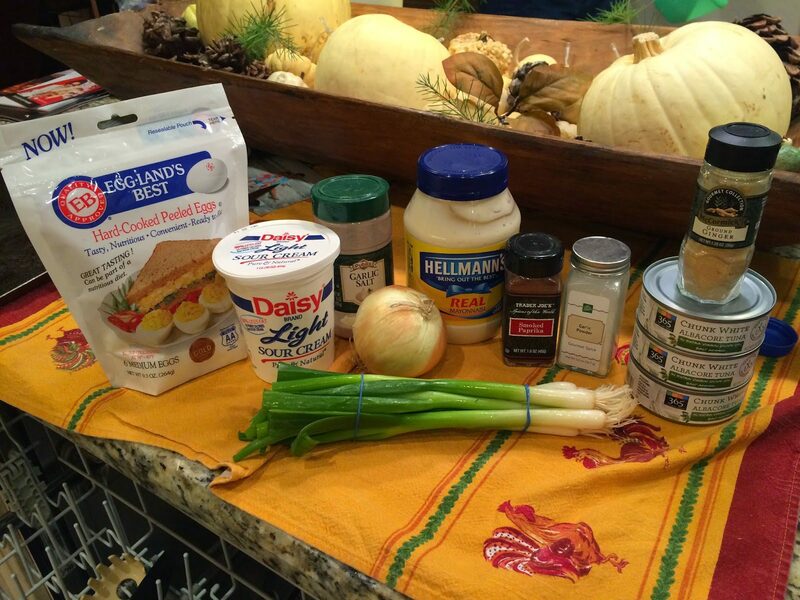 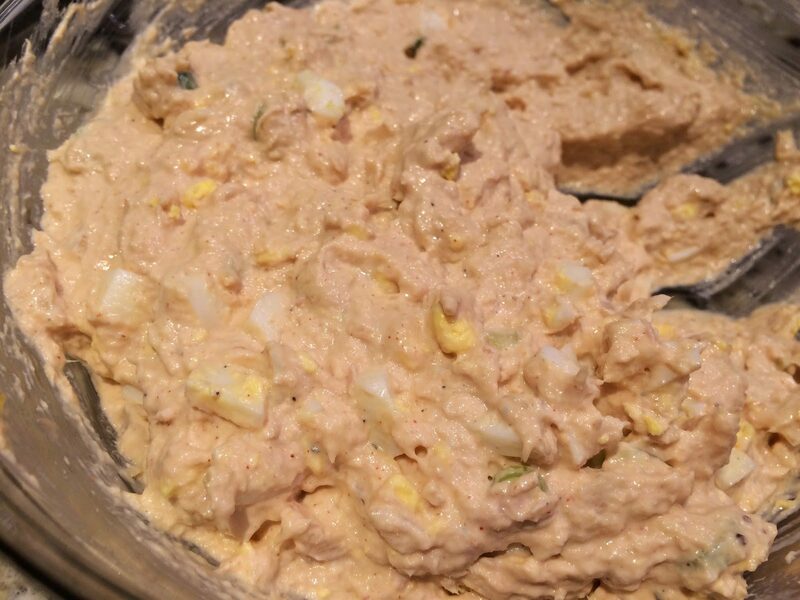 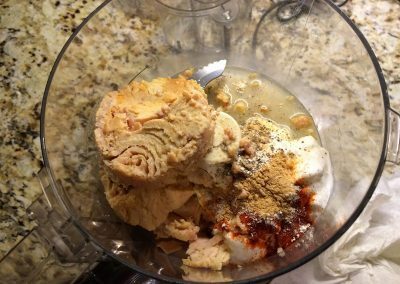 Mix the lemon, sour cream, tuna, paprika, garlic powder, garlic salt, pepper and ginger in a food processor. 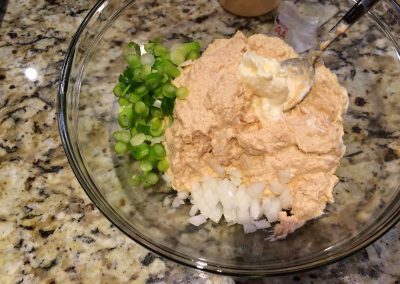 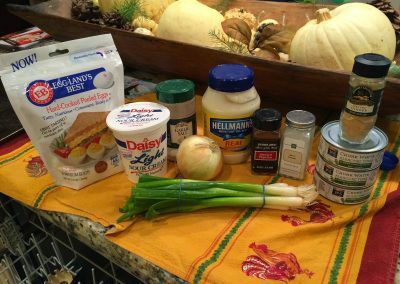 Place in a bowl and stir in the scallions, onion, relish (if using) and mayo. 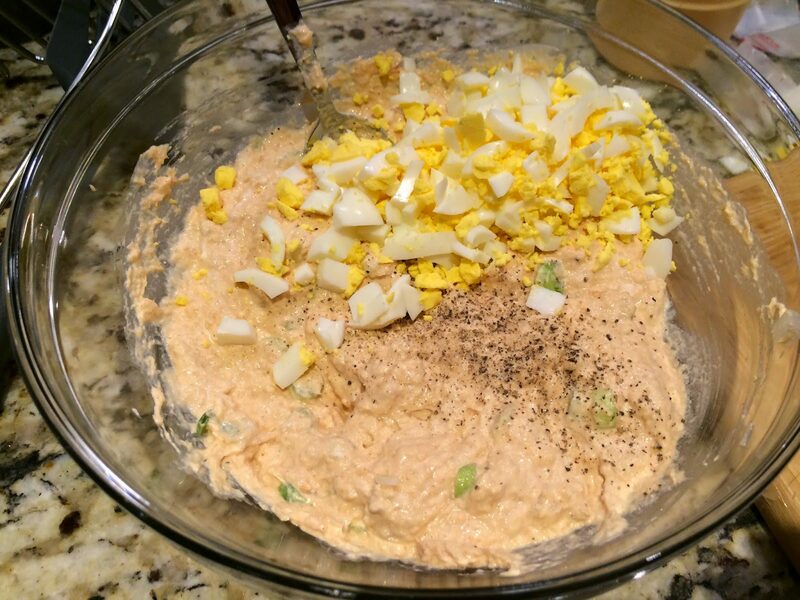 Peel the eggs, dice it up, and gently fold it into the dip.